They look like black grapes but they grow straight on the trunk, in a very unusual way! 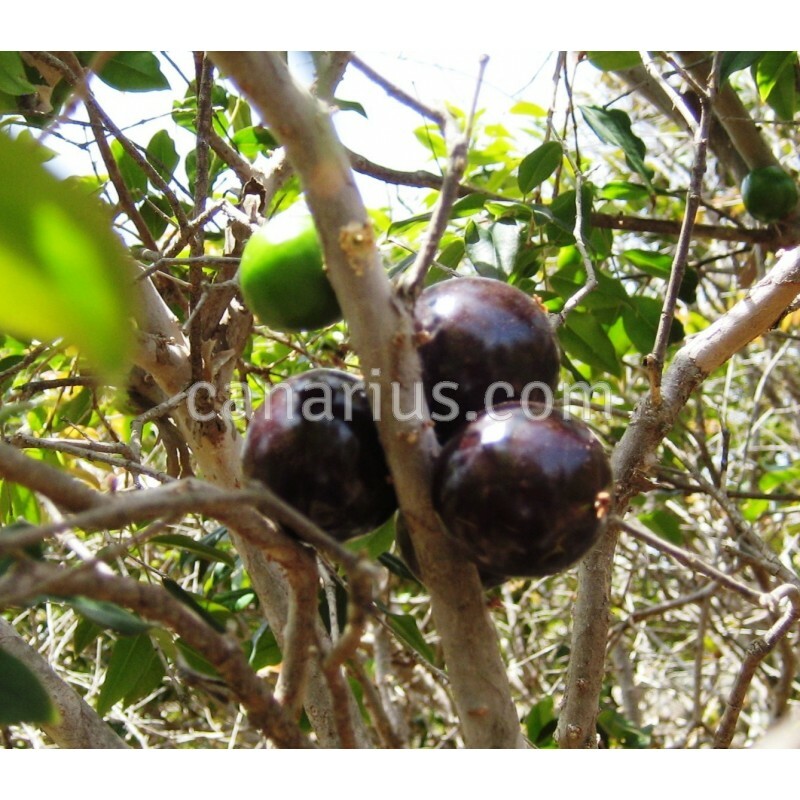 Aall branches are coated with purple-black fruits. This is one of the healthiest of all fruits, and grows in Warm Mediterranean to Cool Tropical climates. Excellent fruit tree from Minas Gerais and São Paulo states in southeastern Brazil. Jaboticaba fruits look like black grapes but they grow straight on the trunk, in a very unusual way! The tree produces white flowers directly on the trunk and a few months later all branches are coated with purple-black fruits. 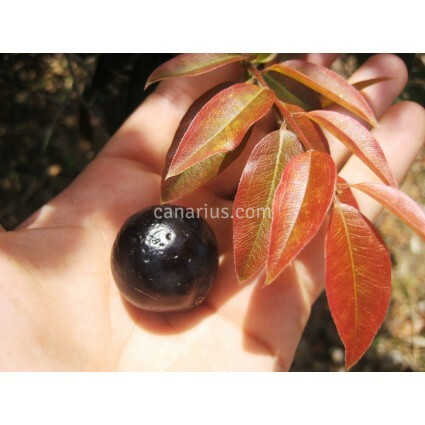 Jaboticaba is one of the healthiest of all fruits: Several antioxidant and anti-inflammatory anti-cancer compounds have been isolated from the fruit. One that is unique to the fruit is jaboticabin. Myrciaria cauliflora grows in Warm Mediterranean to Cool Tropical climates. 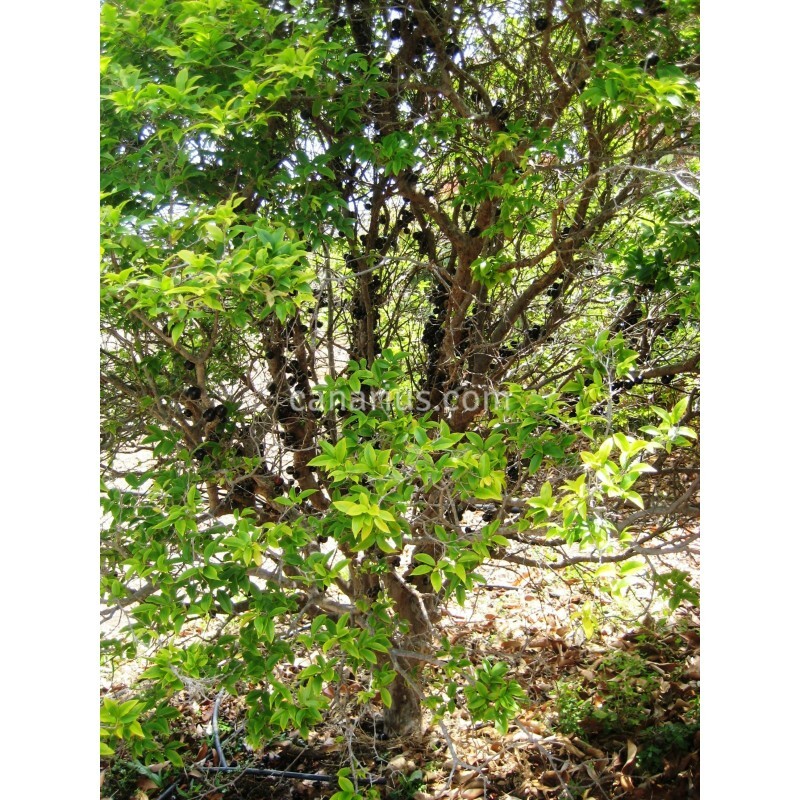 It is an easy but slow tree and plants must have a good trunk in order to fruit. This is because they flower and fruit directly from the trunk. Therefore, trees grown from seed will take 5-15 years to fruit. A two years old seedling can be just 20 cm tall, but then they grow much faster. Once they become adult, they can fruit even two or three times a year. Myrciaria cauliflora grows in neutral to acid soils. It is a forest tree, so it takes average light to full sun. It does not like drought. Regarding cold hardiness, it stands prolonged coold conditions and takes short light frosts. it fruits without effort in the warmer Mediterranean and there are fruiting trees outdoors in Southern Spain and Sicily, as well as here, in the Canary Islands. Of course it grows in tropical conditions too, but it does not do well in ever-hot conditions or in dry tropical climates. What about brown leaf tips? The plants that we ship often show this too, but don't be scared: they are still healthy, growing plants that will go ahead as soon as you plant them in the ground or in a larger pot with the right soil. 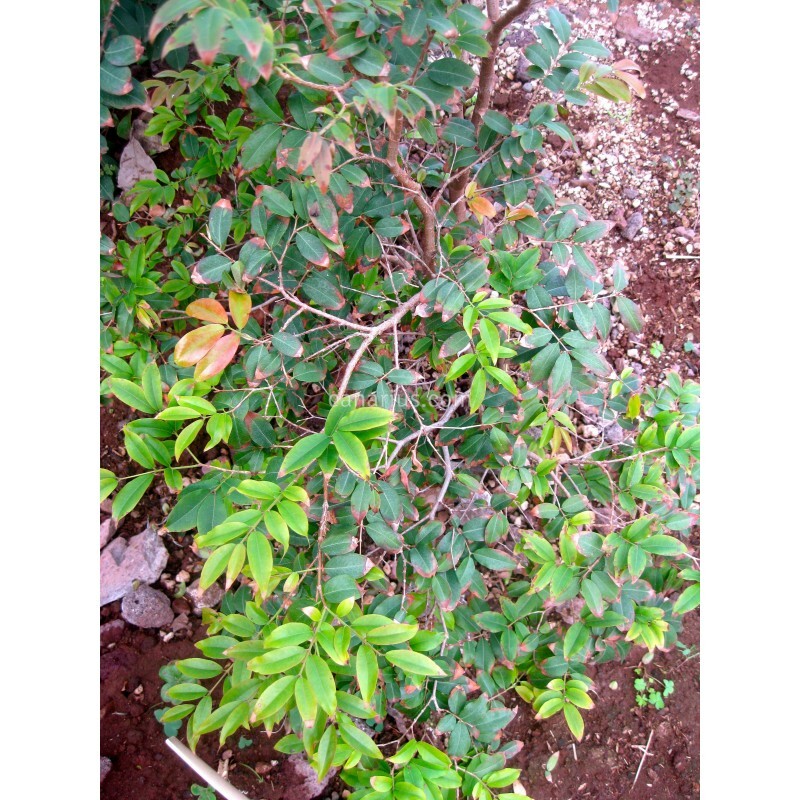 We offer a large branched plant of 50-60 cm height, grown in a 20 cm pot.